Ministers have returned to government focused on fully delivering their manifesto commitments and ensuring they translate into real world impact. There is a consistent message, from the top of government down, that this Parliament is all about effective implementation; that ‘announcing something doesn’t mean it will happen’ and ‘what gets measured, gets done’. 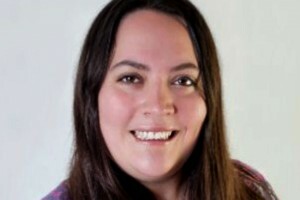 Given that the Leadership Statement has as its starting point our responsibility for effective delivery of the government’s programme and ministers’ priorities, the Cabinet Secretary has asked James Quinault, Director of IU, to develop a virtual ‘profession’ to build implementation capability across the Civil Service. Working through other professions, we will share IU methodologies; offer training on key tools; and spread good practice and lessons learned on implementation. As a start, we have published Implementation Insights, a framework for effective implementation based on learning from IU and its predecessor units; UK and international good practice; and expert input from organisations such as the Institute for Government. Define a clear, outcome-based goal – and make sure it is understood and shared by those involved in implementation. How are we going to deliver with the funding available? Usually someone, somewhere, at some point has tried something similar and succeeded or failed. How can we use this learning to determine what works? Who do we need to implement our goal? Mapping the delivery system and understanding motivations, behaviours and needs is vital. Why would these individuals or organisations deliver? How can we establish the right mix of incentives, including strong accountability & governance? When does this outcome need to be achieved? Have we developed a clear plan with milestones, metrics? Do we have regular data to tell if we’re on or off track? Which actions are needed to maximise delivery, manage risks and unblock barriers? Are we prepared to pull the plug on failing programmes – how will we know if we’ve got to that stage? As deputy head of this virtual ‘profession’, I’m delighted to launch our blog series, which will include contributions from ministers and those delivering on the frontline of public services. In the next blog, Oliver Letwin will share his personal reflections and lessons on implementation. I hope this series will provide inspiration for those struggling with delivery challenges; as well as a practical forum for sharing ideas, experience and good practice. What has Reserve service done for me? How is this different from the Project Delivery Profession? There are some sound principles here. 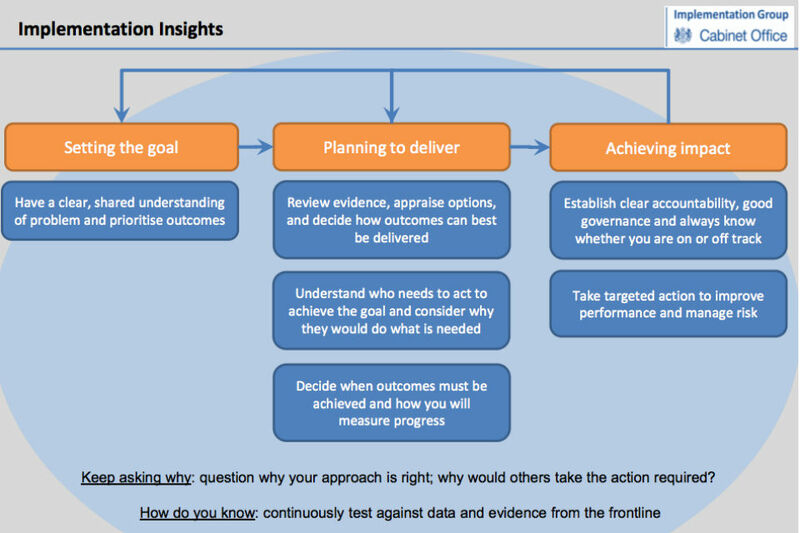 However, ‘what gets measured, gets done’ along with '..maximises delivery on the PM’s priorities, through a relentless focus on data, evidence and impact' needs to be handled carefully, to not end up as a relentless dive to a misplaced target culture. Isn't this just common sense. Common sense: Yes. Applied consistently enough to make a difference? : Generally not. Essentially, these are performance management methods with a twist.